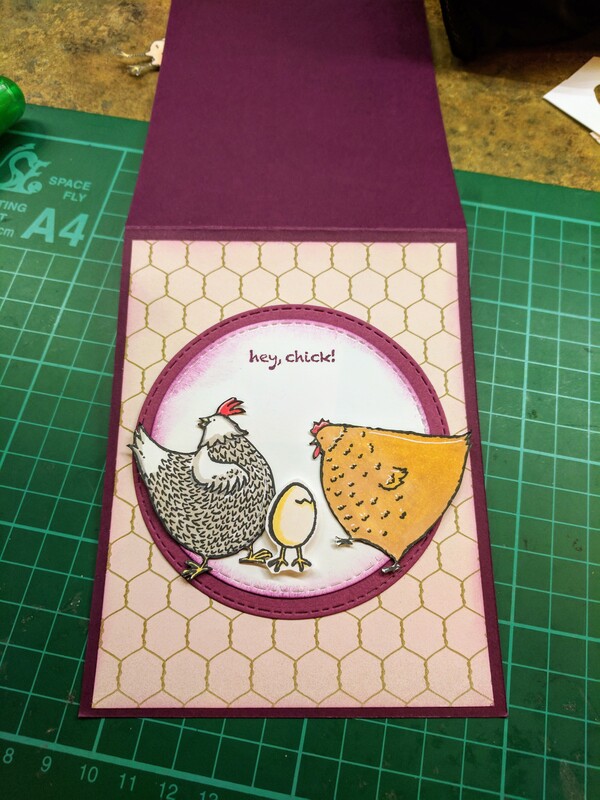 Today I created a card using Stampin ups Hey Chick set. I love this set it was a free item if you spent a certain amount (which I did😉). 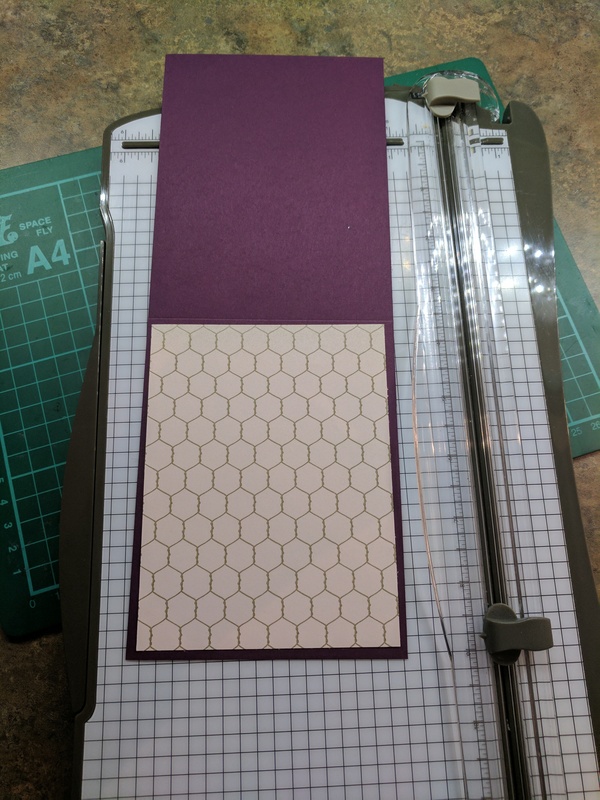 I used Blackberry Bliss in a top fold at 11 x 4.25. 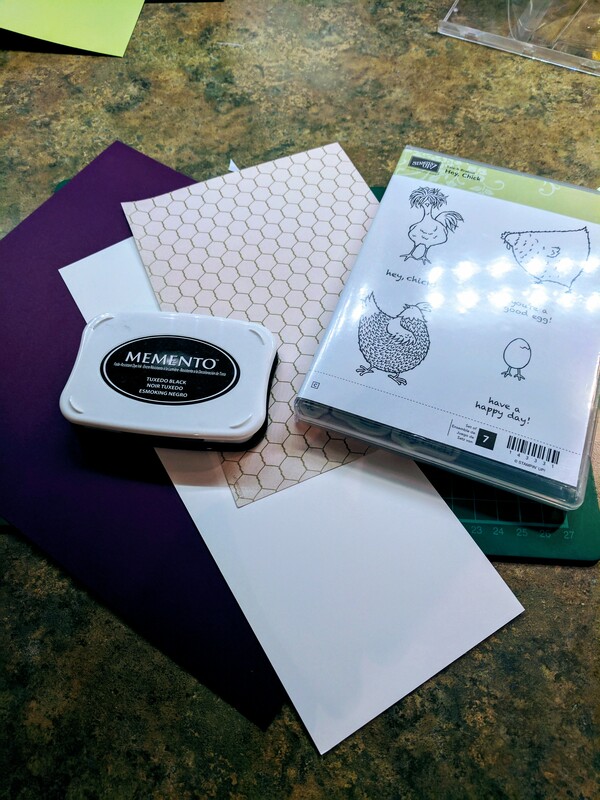 Patterned paper 5.25 x 4 and a scrap piece of whisper white all by Stampin up. 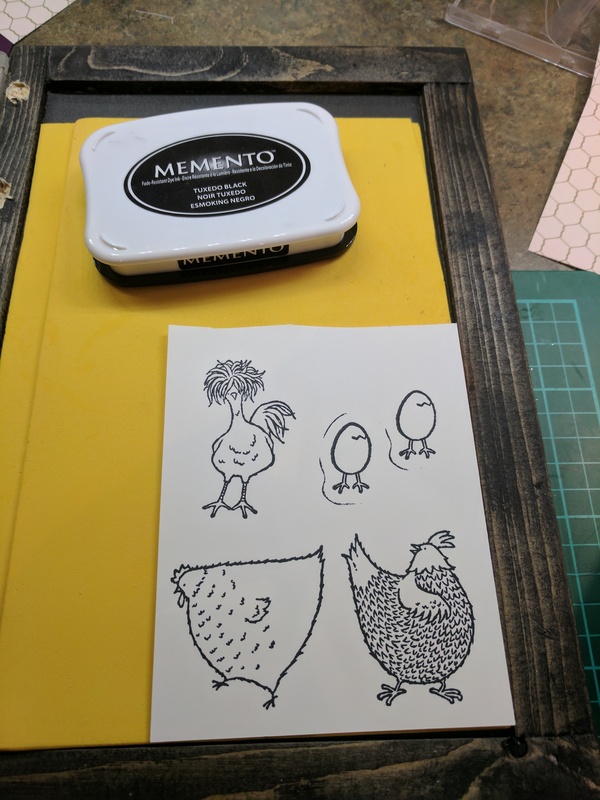 Using my homemade stamp tool I stamped the three chickens and the egg in Memento Tuxedo black. 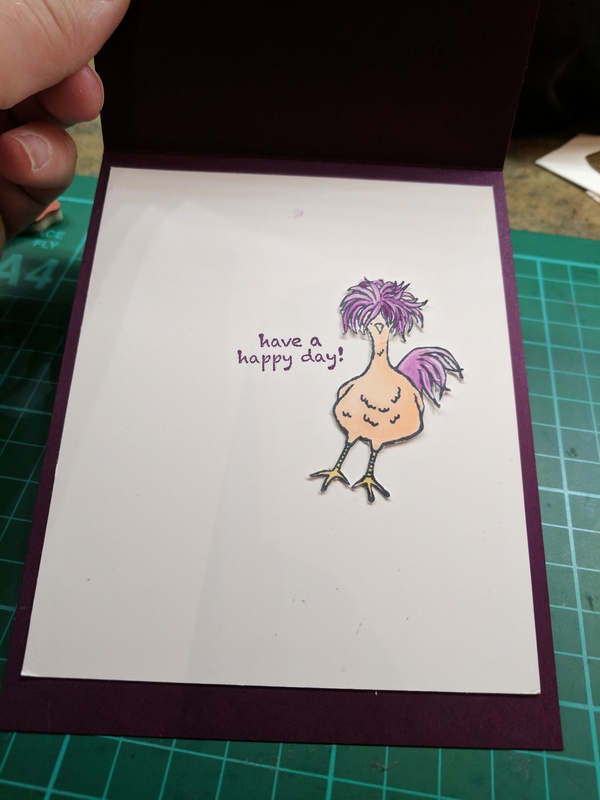 I colored them with Copic markers with the exception of the one chickens hair. For that I used Blackberry Bliss with a Blend pen to get the effect of water color. I fussy cut the images and went around the edges with black marker. I die cut two circles one in Black Berry Bliss and one in white. Stamped my sentiment and sponged the edges of the patterned paper and white with Black berries Bliss. From here I built my card using a piece of foam tape to make the egg pop. 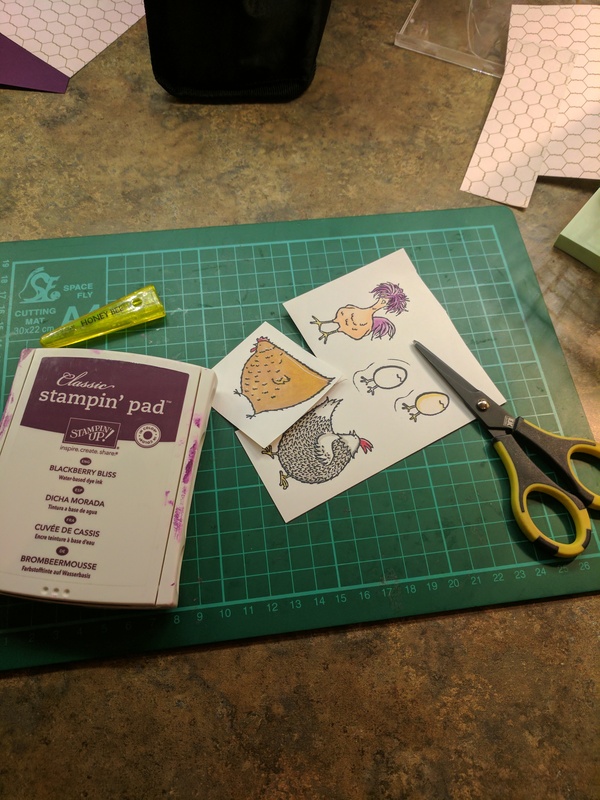 I then went to work on the inside lining it with a piece of Whisper white stamping a sentiment and adding the goofy chicken.